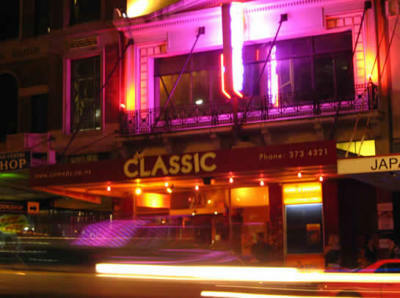 The Classic is New Zealand's oldest dedicated stand up comedy venue. The staff are all friendly and helpful, the drinks and food are reasonably priced and a pretty good selection. The seating is directed by the staff, first in to the front. The comedians are rotated very well to keep the show fresh from week to week. Wednesday night is Big Wednesday which is a mixture of pros, semi pros trying new material and those from Raw judged ready for the next step. 10-12 comics for $15 so good value. Thursday Pro Night Premium. Top pro comics. Friday and Saturday nights there are two shows. The mid evening show is Comedy Allstars Pro show. Followed by the Late and Live Pro show with a difference, this show is often looser where some comics take more risks and can get a little crazy. You can bundle the two shows together for a discounted price. There is also The Classic Studio which is a smaller room upstairs. 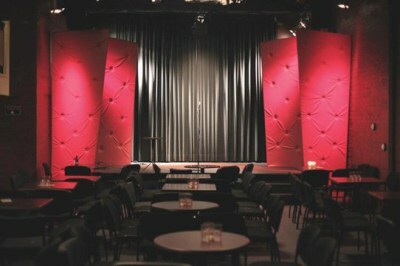 This is used for various shows from special showcases through to comics previewing or shaking down solo shows.